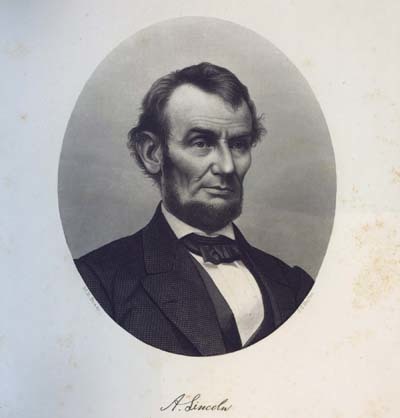 An overwhelming number of sermons was delivered throughout the country on the occasion of assassination of Abraham Lincoln. To pay tribute to his accomplishments and to the great man himself, local clergy found the date of his death religiously symbolic. Because he died on April 14, 1865, on "Good Friday", Lincoln was compared to Jesus. The sermons shown here were delivered in Easton and Bristol, Pennsylvania. Three Sermons by Rev. C.H. Edgar, D.D. 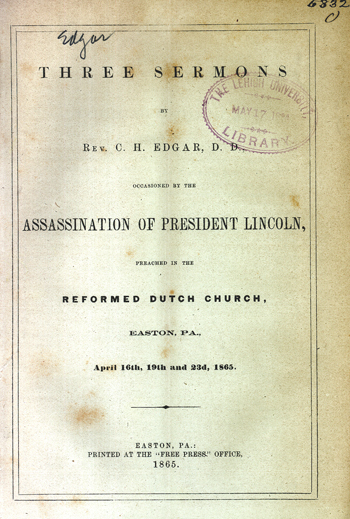 : Occasioned by the Assassination of President Lincoln, Preached in the Reformed Dutch Church, Easton, Pa., April 16th, 19th, and 23d, 1865. Easton, Pa.: Printed at the "Free Press" Office, 1865. 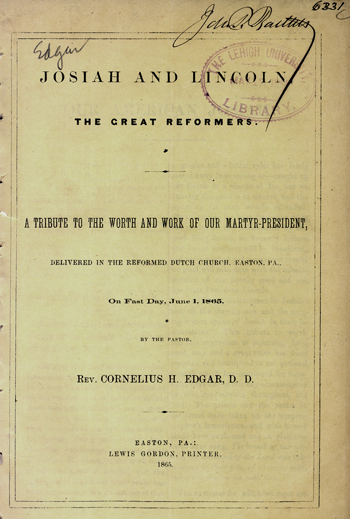 Josiah and Lincoln, the Great Reformers: A Tribute to the Worth and Work of Our Martyr-President Delivered in the Reformed Dutch Church, Easton, Pa., on Fast Day, June 1, 1865. Lewis Gordon, Printer: Easton, Pa., 1865. 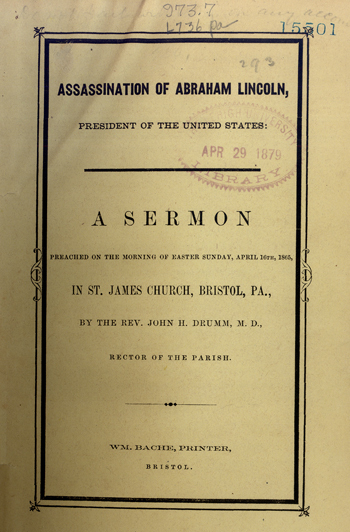 Assassination of Abraham Lincoln, President of the United States: A Sermon Preached on the Morning of Easter Sunday, April 16th, 1865, in St. James Church, Bristol, PA. Bristol, Pa.: William Bache, Printer, 1865.